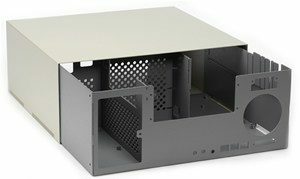 Enclosures | Quality Sheet Metal Inc. 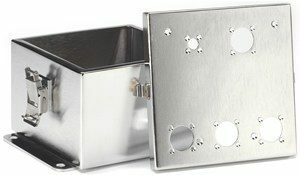 Custom 8″ x 8″ brushed stainless steel enclosure. Southco latches installed at QSM. Electropolished finish. Medical use. Satellite control keyboard. Aluminum with welded and ground corners. Powder coated and silkscreened. Military telecom use.